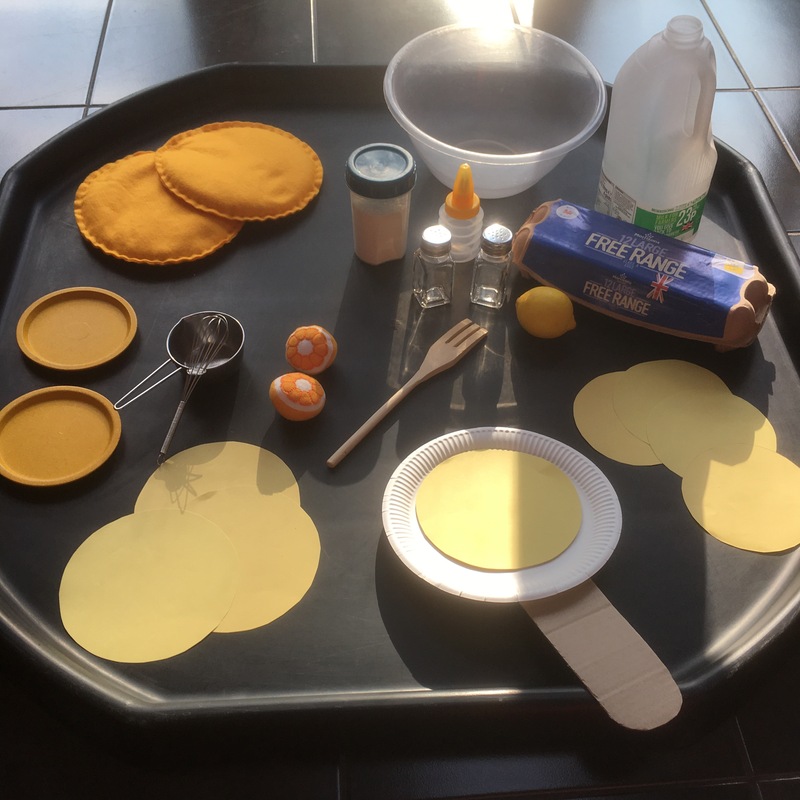 We love pancakes in our house so this week we had great fun celebrating Shrove Tuesday! We went for a pretend play tuff tray with all the different ingredients needed to make pancakes. Bobcat has just started getting into pretend play properly so this worked really well for him. I showed him how to ‘make’ a pancake and we talked about what ingredients we needed and then he had great fun making and eating lots of imaginary treats! 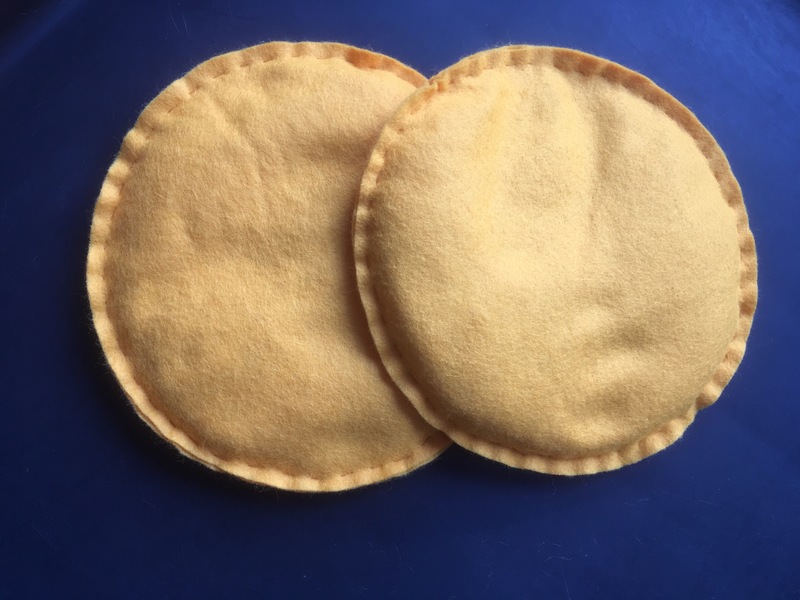 The pancakes were mainly paper circles, but I also made two beanbag pancakes like the ones on Activity village. I filled them with rice which has leaked through some of the gaps a little but not too badly. They are too heavy to flip, but are good for stacking, and for balancing on your head! 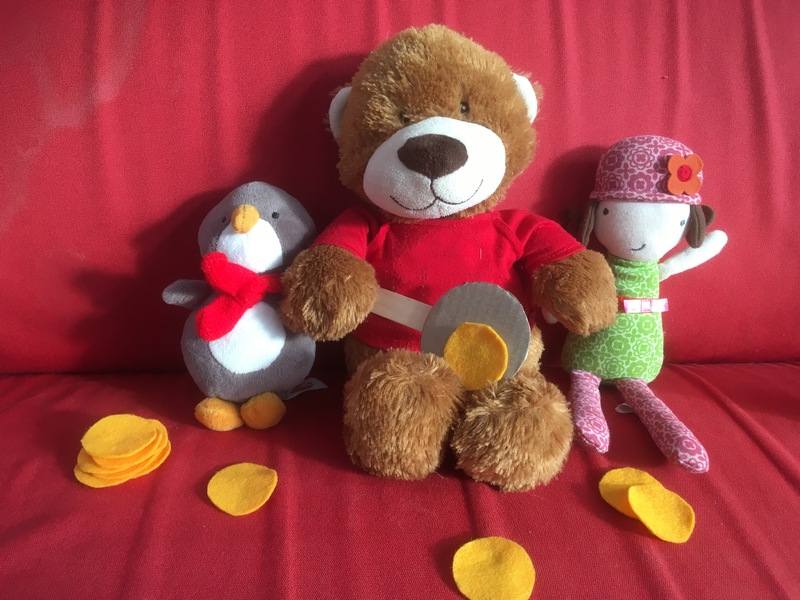 The dolls and bears also joined in with the pancake fun. Little monkey especially enjoyed giving the toys cuddles, and even joined in with a bit of pretend play, pouring the milk into the pan. 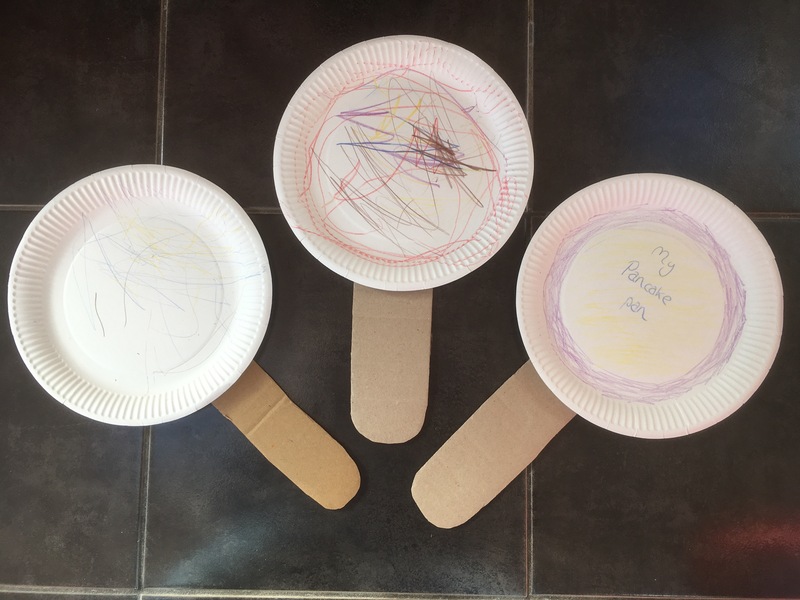 Our frying pans were made of paper plates and card handles like the ones on Rhythm of the home (the paper pancakes were a bit light to flip, but I did the same activity later this week in a kids group and we used foam which was a bit better). As an extra activity we decorated our pancake pans. Bobcat also decided that he wanted to make his own paper pancakes. This was a great opportunity to practice his cutting skills. 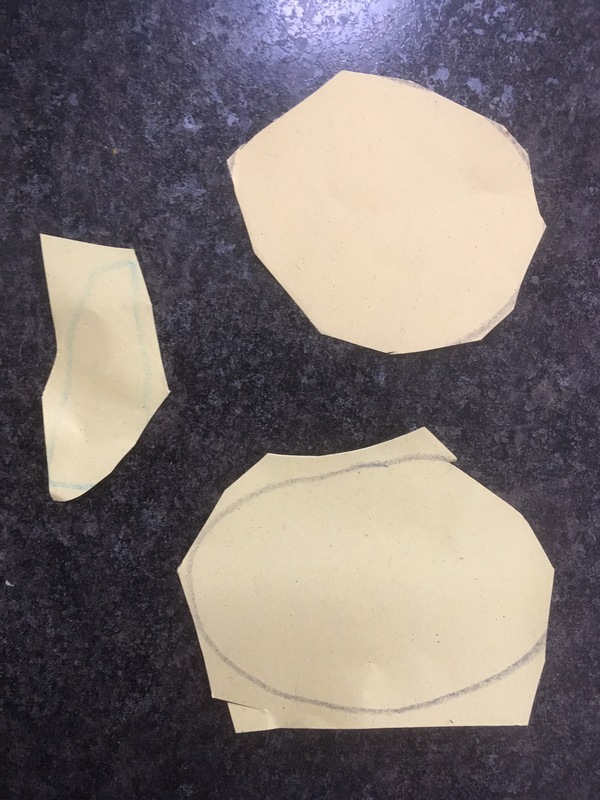 Up to now he has just snipped at paper so I decided to try drawing a circle pancake and see if he could cut round it. He loved doing this and did pretty well for a first attempt. 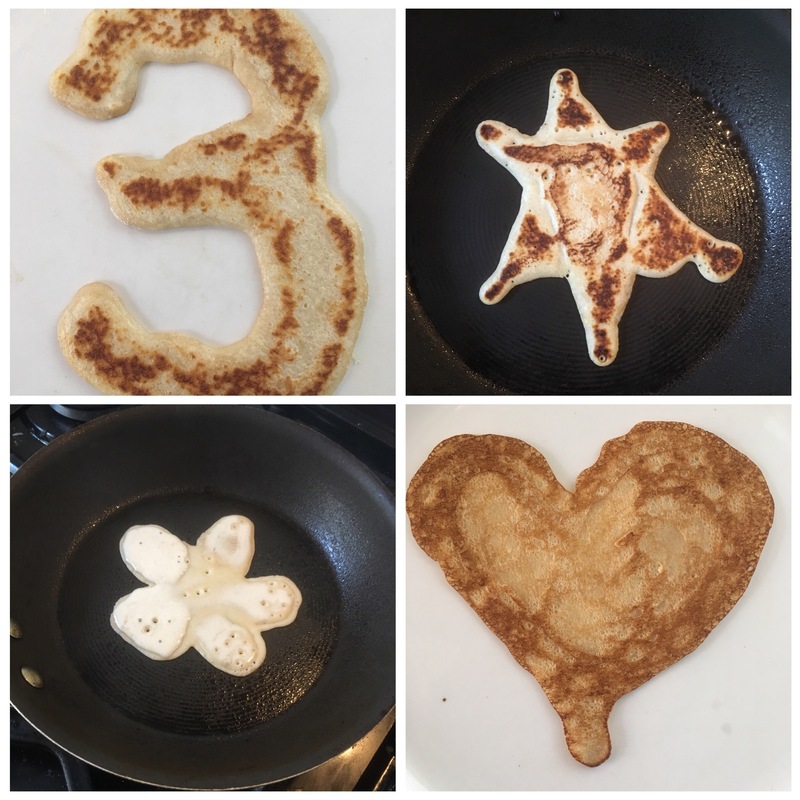 He enjoyed it so much he started drawing his own pancakes to cut out! Then we ate many many pancakes! We had pancakes for lunch, and then went to see our friends and had pancakes for tea with them too! I discovered that it is possible to make different shaped pancakes if you put the mix in a squeezy bottle! 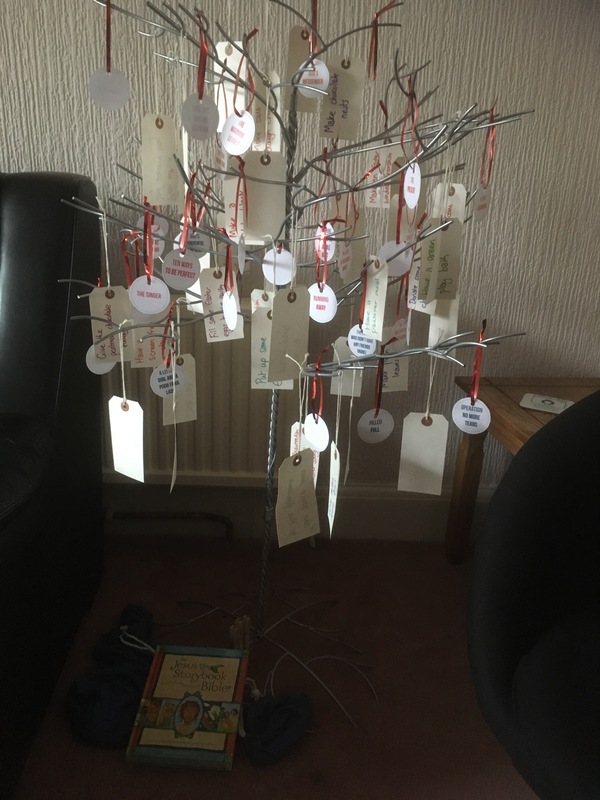 We enjoyed pancake day and are now exploring lent with our lent tree and the Jesus storybook bible. 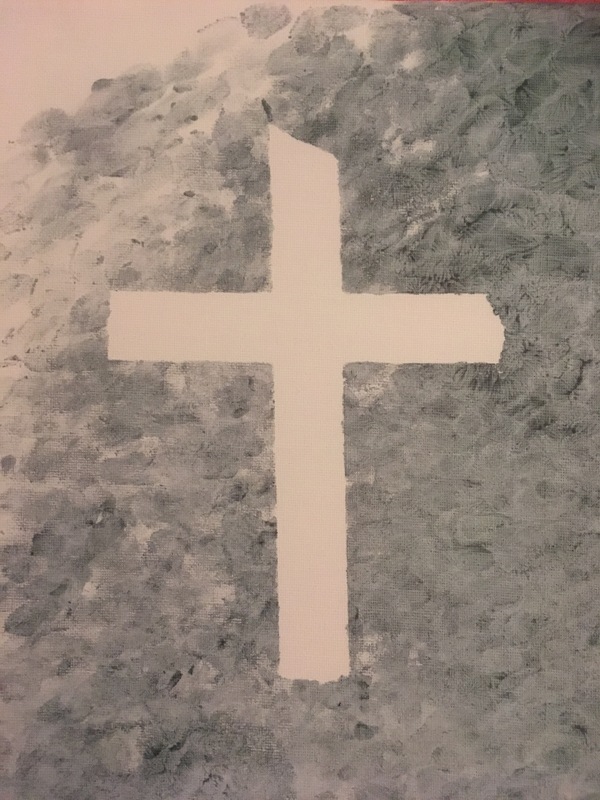 I am looking forward to the rest of lent as we begin to prepare for Easter – I think it is my favourite time of the year! How do you like to celebrate lent?